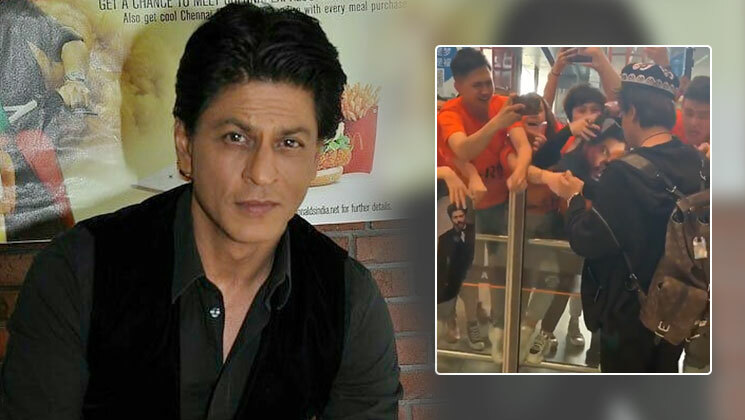 Badshah Shah Rukh Khan enjoys a crazy fan following all over the world. Last year, moving away from his popular image, the actor played a vertically challenged man in Aanand L Rai’s romantic-comedy drama ‘Zero’. The film also starred Katrina Kaif and Anushka Sharma in the lead role. Unfortunately, the film received mixed reviews and failed to create any magic at the box office. However, some critics praised Shah Rukh for experimenting and trying something new. The actor is currently in China to attend the special screening of his film ‘Zero’, which is being screened at the closing of 9th Beijing International Film Festival. As soon as Shah Rukh arrived in Beijing, he was mobbed by his fans who were eagerly waiting to welcome the actor in their country. Now, here are a few videos of the actor being mobbed by his fans that have gone viral on the social media. Off late, Hindi films are doing great business at the Chinese box office. Aamir Khan‘s ‘Dangal’ was a blockbuster hit there. We are pretty sure that ‘Zero’ will receive a lot of love at the Beijing International Film Festival.